You might have heard the construction industry jokingly referred to as one that’s filled with a lot of “hurry up and wait.” Rush to get drawings out to the municipalities…and then wait. Order material…and then wait. Get on the inspection list…and then wait. While there is some truth to the hurry up and wait cliche, we’ve come to understand there are a few things we can do to manage this process for our clients. Even further, there are a few things that our clients can do in the early stages of a project to speed-up the process too. How do you get your team and your project construction ready, and how can we help? Let’s break it down. While it’s impossible to know everything that might happen on a jobsite or throughout a project’s completion, it is possible to build a great team. Creating a team that believes in a team mentality, understands the importance of a plan, and can cut to the chase when it comes to decisions will inevitably help smooth the process. Surround yourself with a seasoned team of professionals to ensure a successful project. Develop a partnership in the early stages. There are many steps that have to happen before construction can begin. Completing the design, pricing materials, and determining an appropriate timeline are only a few pieces of the construction ready puzzle. By joining the team early, preferably during design, Evergreen can help ensure your project is construction ready, so you don’t have to. While there are many steps that occur prior to the first shovel turning dirt, you don’t have to work through those alone. Hiring a knowledgeable, experienced contractor can make all the difference. Behind every great success is a great plan. Every aspect of a project – from the location of the building to the specific unit that cools a certain room to the location of the jobsite dumpster – must be planned and coordinated. Tasks that seem minute or items that seem independent are not always stand alone and sometimes have the potential to impact other trades and scopes. Entering a project with a clear plan (and an open mind) helps the entire team succeed in creating something to be proud of. 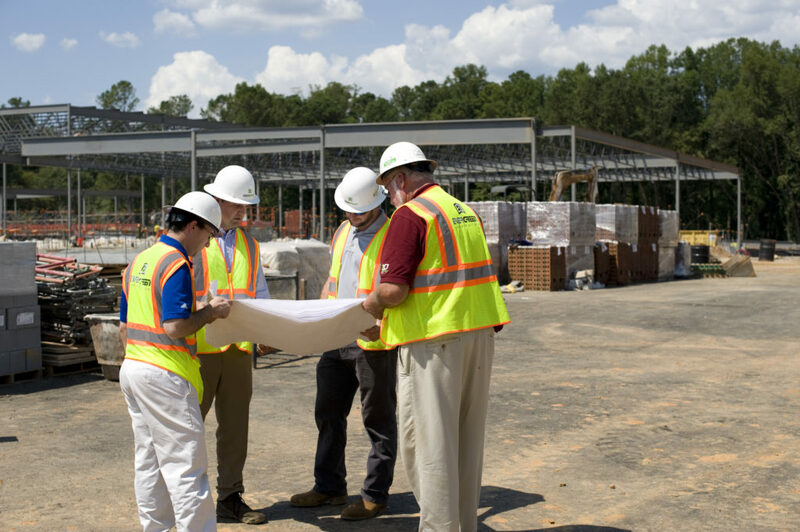 A good construction manager understands exactly how to manage the process from start to finish. At Evergreen, we like to coordinate the waiting periods mentioned above to efficiently use time for everyone involved. While it may seem like a project is just waiting on an item to be completed, the reality is there are other tasks in the que that we’re working on. We also like to help our clients make a decision and stick with it. It’s the best way to speed up the construction process. By providing our clients with all of their options up front, they’re able to make an informed and easy decision. Whether you’re embarking on a construction project or merely researching a seedling of an idea, these tips for getting construction ready will certainly be helpful. If you have any other questions about what you can do to get your project ready to break ground, let us know. We’re always ready to answer questions for you.